Would you like to find some real modern-day booty? 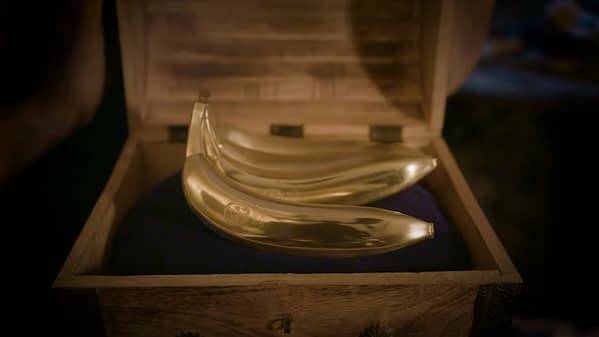 Sea of Thieves will be giving you the chance to do so as Microsoft has launched a $100,000 real-life challenge for $100,000 USD in The Quest for the Golden Bananas. This is a real treasure hunt happening across the globe with clues to be found online and in physical locations. The entire ordeal will kick off on March 19th at 12pm PST, with the requirement that you have a crew of four (like the game) and that you answer a series of 15 riddles. The first crew to answer to answer the fastest correctly from each country will be entered into the semi-finals happening on March 22nd. To be clear, you won’t have to do any globe-trotting like a gumshoe looking for Carmen Sandiego in order to play, pretty much everything will be available and hidden online, but we’re guessing the physical locations for clues will have greater details since you actually left the house to find them. You can officially sign up for the quest at this link, and as a bonus, even if you don’t win, there’s a chance for other prizes along the way. We wish all of you brave adventurers luck as we patiently wait to see if the contest is awesome or a bust.